Hey guys, hopefully you have been well and okay. 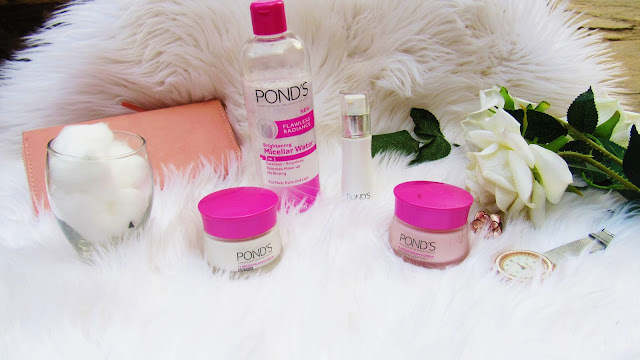 Today I bring to you a review of the POND'S Flawless Radiance DermaSpa Review, that I received from Beauty Bulletin a few weeks back. 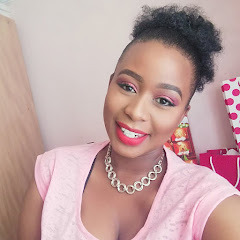 Lastly I have uploaded a quick demo on the YOUTUBE Channel hopefully you also check how I use the range, please make sure that you have subscribed. works with the skin’s natural processes to re-energise skin cells, while providing lightweight moisture and protecting the skin with an SPF 15. It targets the skin’s deepest layers, and is clinically proven to lighten dark spots within 7 days. Use in the morning as part of a daily regime. in your treatment products. Use twice daily and follow with your preferred POND’S Flawless Radiance Derma+ treatment and moisturiser. has been formulated with the DermPerfect™ Complex, a blend of six potent ingredients including the powerful bio-actives Vitamin B3 and Hexyl Resorcinol. lighten dark spots within 7 days. most advanced technology to date, DermPerfect™ Complex. This contains six potent ingredients - including two powerful bio-actives Vitamin B3 and Hexyl Resorcinol. The Derma+ Night Cream works while you sleep, targeting the skin’s deepest layers to lighten dark spots. Use in the evening as part of a daily regime. Hydrating Day Gel SPF 15 I have dry skin for dayzzzzzzz and when I saw the gel I could tell that my skin would like it. 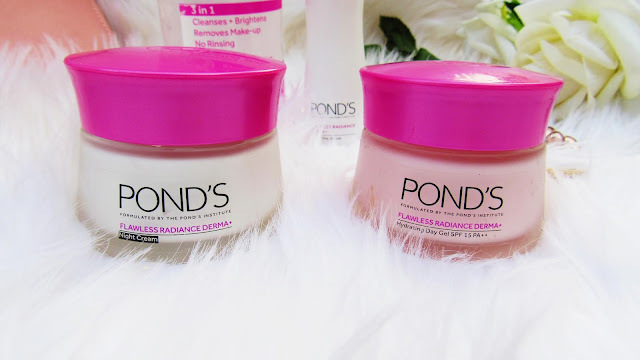 The gel does make my skin feel hydrated however during the day I feel like it does need re-applying ( I told you guys that I have dry skin), maybe now since it is spring/summer my skin will adjust to the product better. 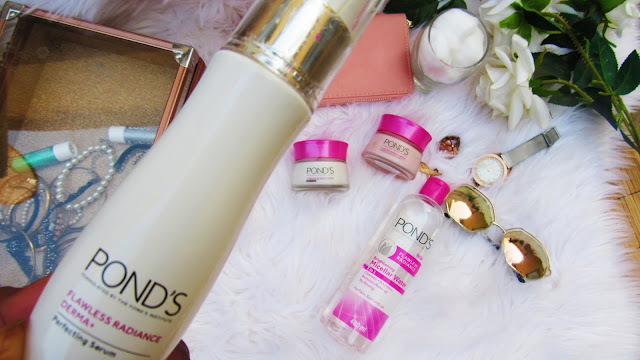 Brightening Micellar Water this one is perfectly made for my sensitive eyes, because I have dry skin I though that after removing my make-up my skin would feel dry it doesn't at all. The part I haven't figured out yet is the re-brightening part however my skin still looks good though. again this would be the one. Together with the hydrating gel they go hand-in-hand which is awesome. I couldn't tell when the bottle finishes. and include in my routine. Hopefully you have enjoyed my mini review on the range.